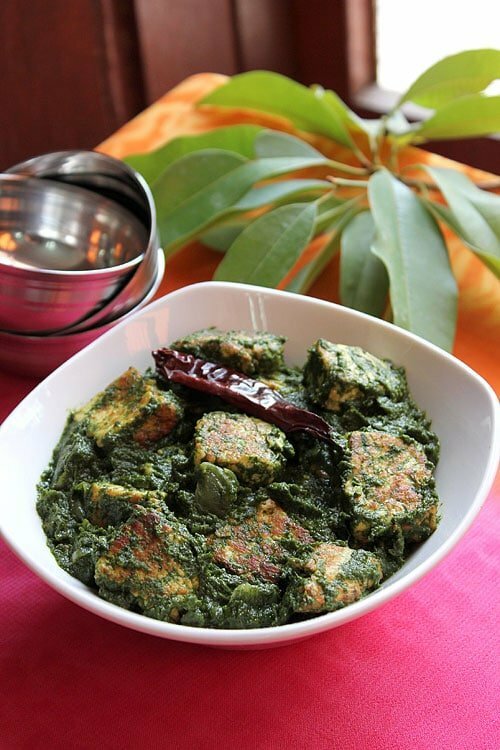 Palak Paneer is an Indian vegetarian dish. 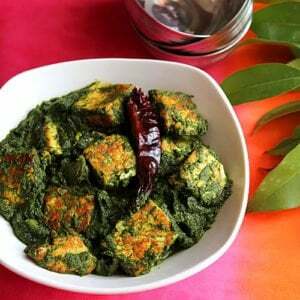 There are two stars in this recipe, the spinach and the cheese (Paneer). 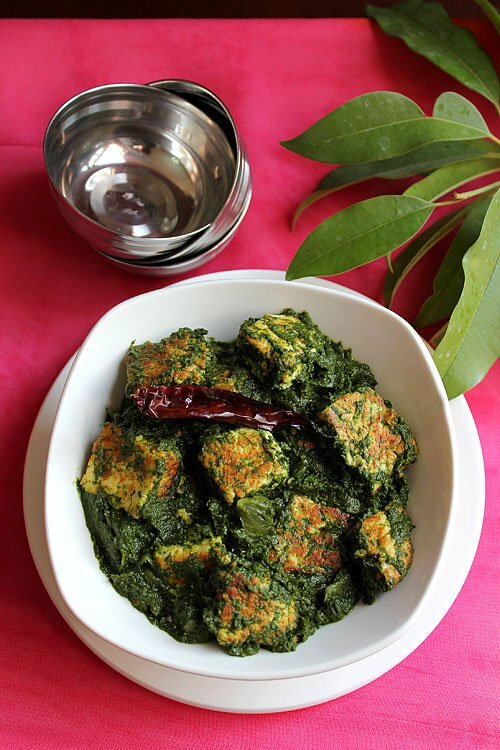 Palak paneer is creamy in texture and usually served with paratha or chapati on the side. Other versions you can find on the internet may call for tomatoes, or not blend the spinach in a blender but in the recipe, I follow for palak paneer today we will blend the spinach in a blender until smooth. In some palak paneer recipes, the spinach finely chopped, I do finely chop the spinach but only if I am cooking it with meat like Palak Aloo Keema. The cooking takes longer time than with paneer, so the finely chopped spinach becomes creamy in texture, hence no need to use a blender. 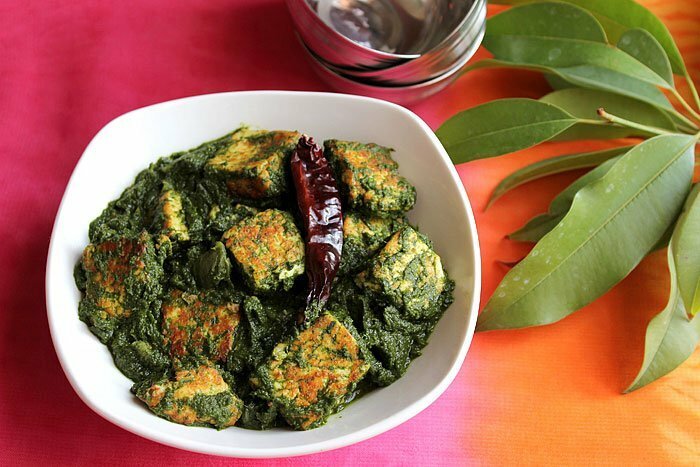 To make a flavorful palak paneer, we better use homemade paneer. You will get soft and super tasty paneer. I wrote a post on How to make Paneer, following those steps in making paneer are easy and fun, you can ask your kids to help you making paneer if you wish. If you are making homemade paneer, you might want to give my Rasgullas a try. Rasgulla is an Indian dessert made from paneer. I’m sure you’ll enjoy making it. I didn’t feel any difference when using fresh or frozen spinach in making palak paneer, just make sure that you cook the spinach until the color gets darker. The size of paneer is up to you; I keep mine on the chunky side, it doesn’t break when frying it and gives the dish a beautiful look. You can increase the amount of cream in this palak paneer recipe or omit it. Palak paneer is one of the preferred vegetarian dishes in my house. I would love for you to try it and let me know how you liked it in the comment box below. 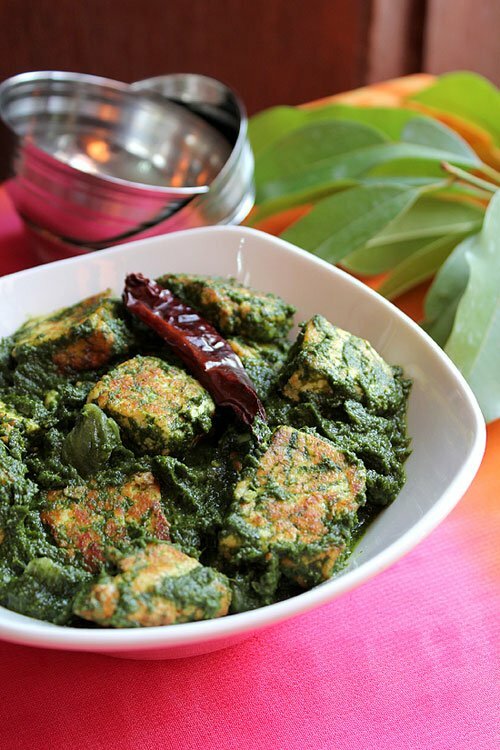 So, let’s learn how to make palak paneer! Palak Paneer is an Indian vegetarian dish. Shallow fried Indian cheese in spinach thick gravy. 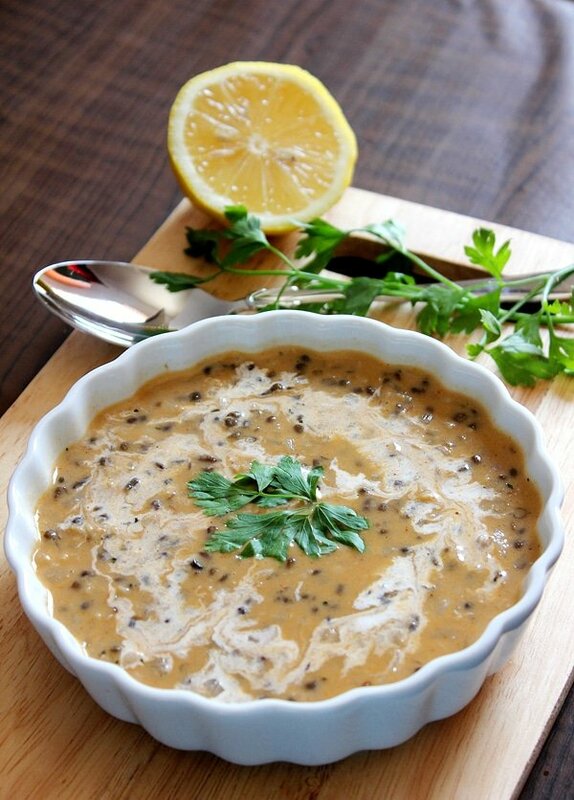 Creamy in texture and usually served with paratha or chapati on the side. In a blender add the spinach and 1/2 cup water and blend until very smooth. Keep aside. In a pan, add oil and fry paneer until light golden in color. Remove from heat and keep aside. In the remaining oil, add the cumin seeds and onion, stir until onion is translucent. Add the garlic and rest of spices. Stir for two minutes on medium heat. Pour the spinach over the spices and onion mixture, stir until it comes to a boil. Cook until the color of the spinach turn dark green. The mixture should look creamy, but if too thick add a little bit of hot water. Add the yogurt and stir, now add the cream and gently stir it in. Add the paneer and stir gently for 2 minutes. Cover and let it cook for a minute on medium heat. Thanks for the kind comments ladies 😉 This dish is my number one vegetarian dish, I’m sure you will enjoy it. Wow, love the colors in this palak paneer. i also saw your previous post, how to make Indian cheese. I don;t believe I ever made cheese from scratch! Superb job! 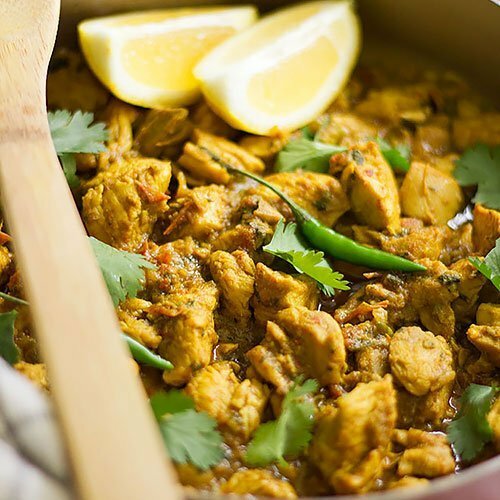 Thanks for your kind words, I’m sure that When you make this dish you’ll love the taste too 🙂 … We make Paneer often at home and it is far much better than what you get in stores. Delicious and creative, I’d love to try it….BTW plz visit my space n check out new FB page if u free..Hope u will ..thanx in advance. I love this! Looks delicious, flavorful, colorful and healthy! 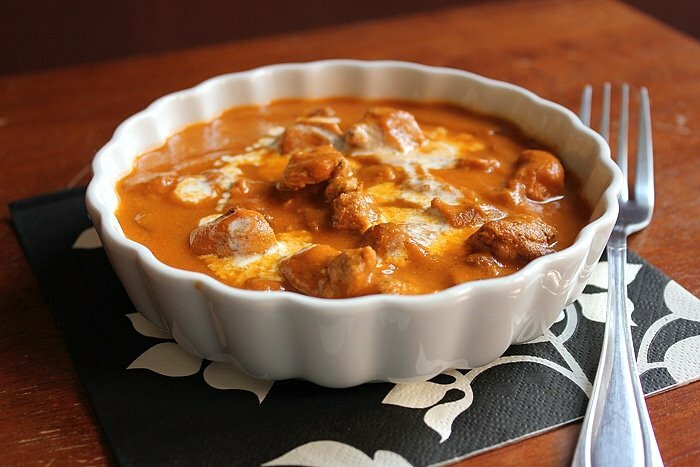 Great recipe and yummy pics! I wish you and yours very Happy New Year!!!! Another wonderful recipe. Sharing it on FB.